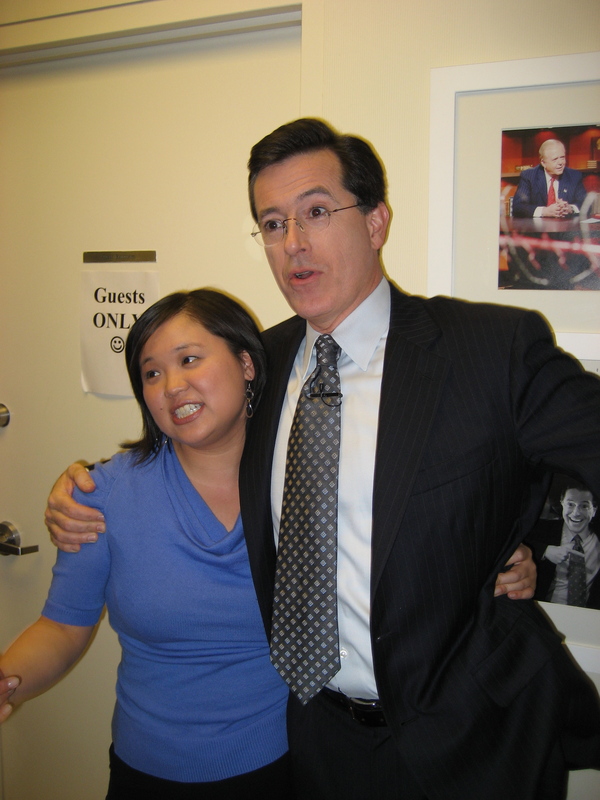 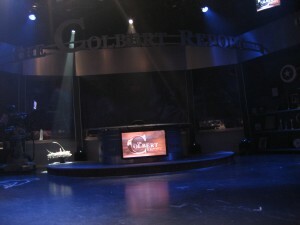 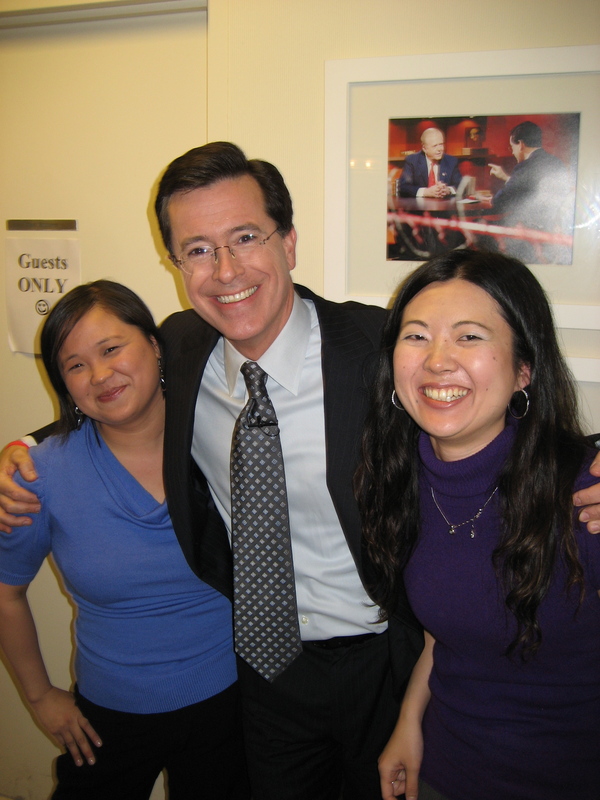 Here (finally) are some pictures from The Colbert Report when I appeared on March 4, 2008. (Thanks to Alexis Ohanian for taking them and for backing them up because I lost the memory card on which they were stored, so I’m actually putting them on the blog so I wont lose them.) 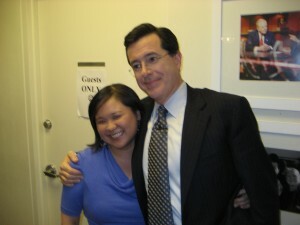 And yes, the Green Room is actually green. 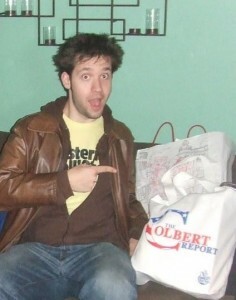 Alexis Ohanian and the Colbert Show gift bag in the Green Room, which is actually green.